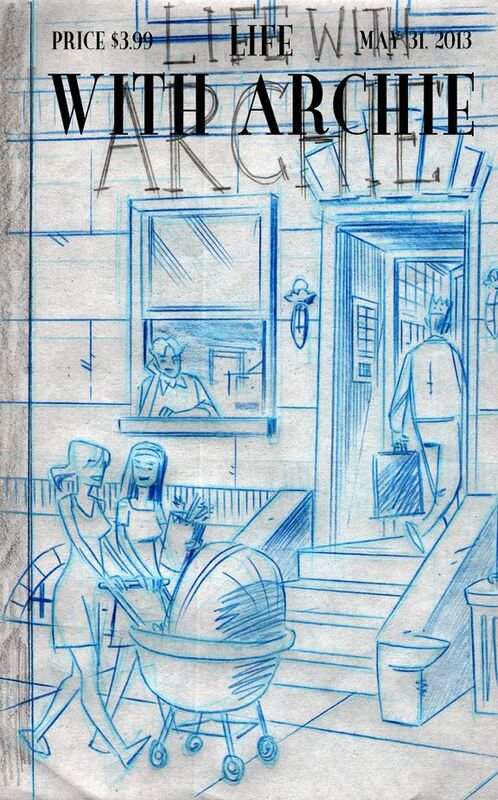 A life long dream was achieved when I got the opportunity to conceive and illustrate the variant cover to LIFE WITH ARCHIE #32 [which comes out tomorrow, Sept 25, 2013]. 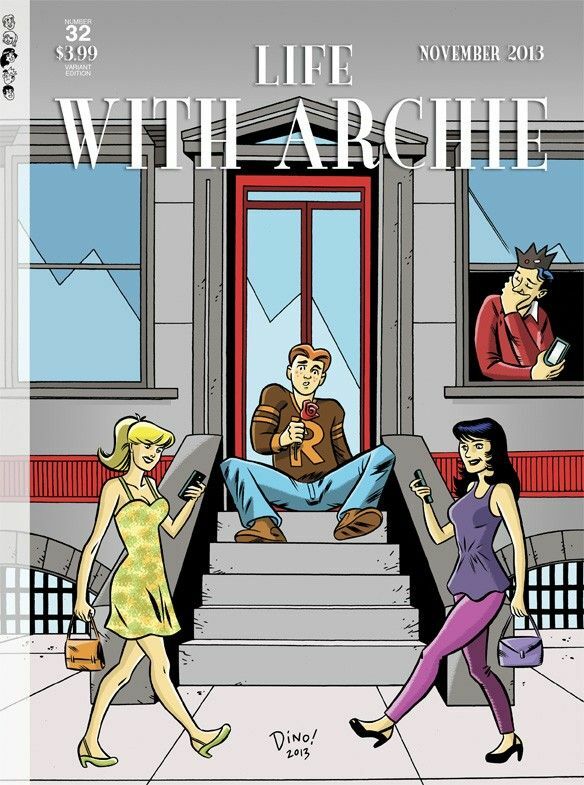 I wanted to pay homage to The New Yorker while making fun of modern communication hijinks [Jughead pulls a fast one on Archie, Betty, and Veronica -- but which girl did Archie originally call? YOU DECIDE!]. So, I designed the cover accordingly. My original concept suggested an alternative Archie universe [see layout below] but was intelligently rejected when editorial decided they didn't want to confuse matters now that they have a very successful, pro-active homosexual character with their KEVIN KELLER comic books [click http://en.wikipedia.org/wiki/Kevin_Keller_%28comics%29 for more info] and I respected that. I'm only revealing it here for the first time to show my creative process and so that my biological daughter's lesbian parents can get kick out of it.